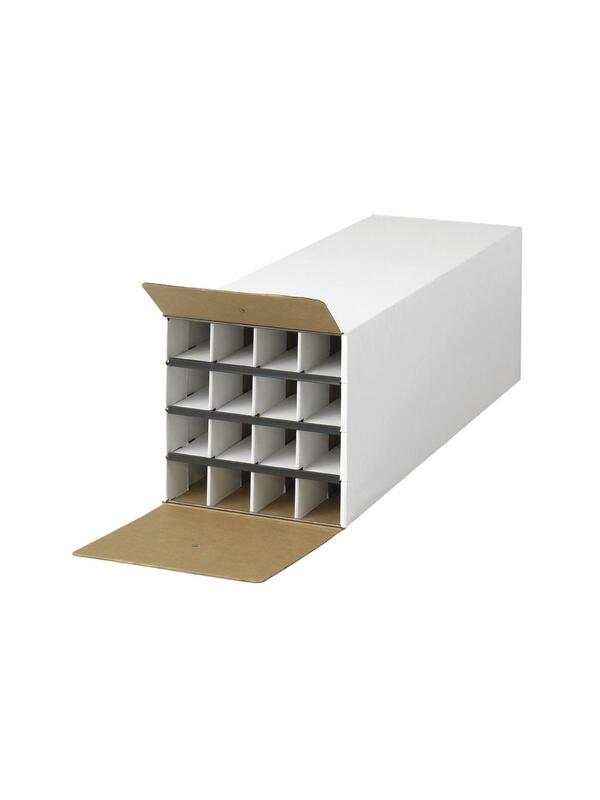 Tube-Stor KD Roll File | The Rembert Company Inc.
Great low-cost system for rolled document storage. With 16 compartments you can easily store and find your documents. 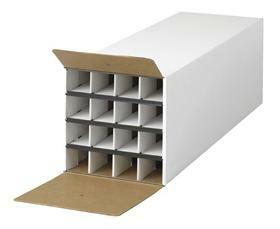 Can be stacked to create a filing system. Constructed of white corrugated fiberboard. Limited lifetime warranty. Assembles quickly and easily. FOB Shipping Point. 12-3/4 x 37 x 12-1/2"